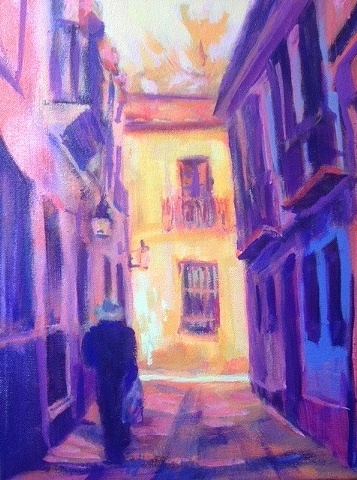 An intimate Cordoba street scene offers a reprieve of shade and the anticipation to bask in the sunshine. I love the rustic charm of the architecture and the intimacy created by the maze of narrow streets with tall houses. This setting also allows a wonderful play of light and shadow.